We participate in BOINC and participate in distributed computing projects. We want to do this in an eco friendly way. 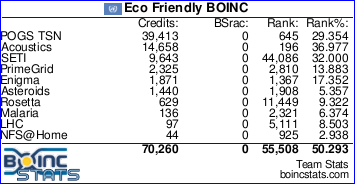 This group is for people who think they do their BOINC computing in a eco friendly way. 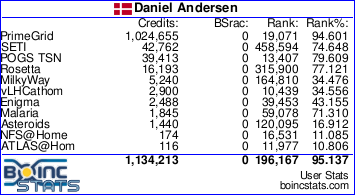 I use BOINC on my Macbook Pro.